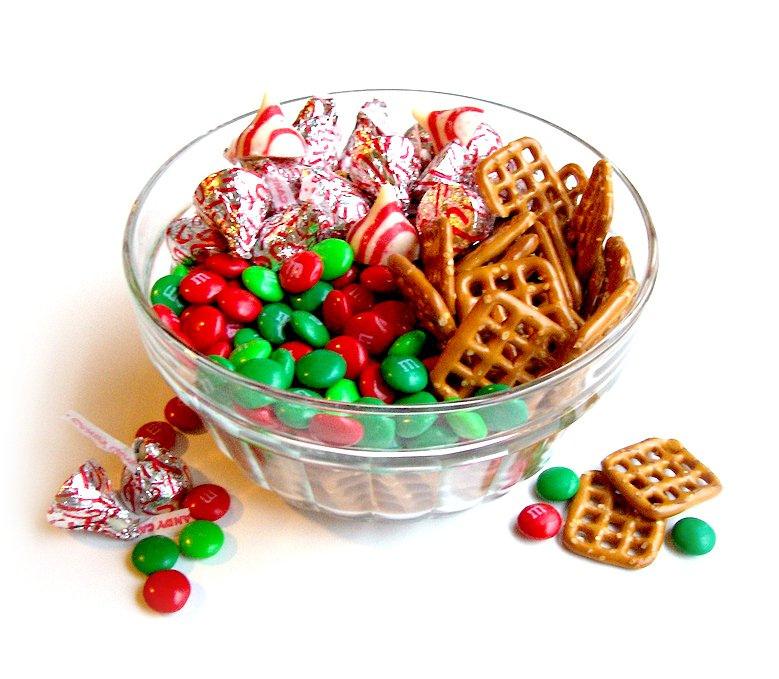 ﻿These are my favorite Holiday treats. 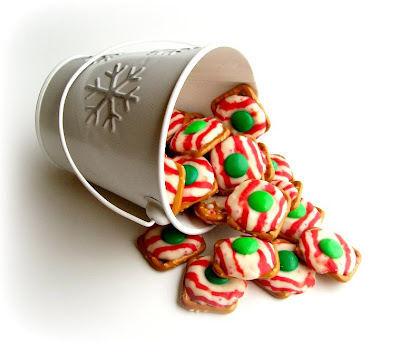 Anytime treats, really, but I only make them around Christmas. They are way too tasty and addictive to make any other time of year! Pre-heat oven to 200*. Line pretzels on baking sheet and place one un-wrapped (duh) Kiss on top, centered as much as possible to avoid a melty-chocolate mess. Place in oven for 5 to 8 minutes. Keep your eye on them! They melt quickly. 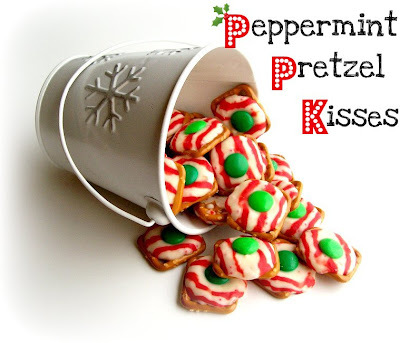 Once the Kiss has started to melt and spread over the pretzel, take them out of the oven. This can take a very long time if just left on the stove/counter. 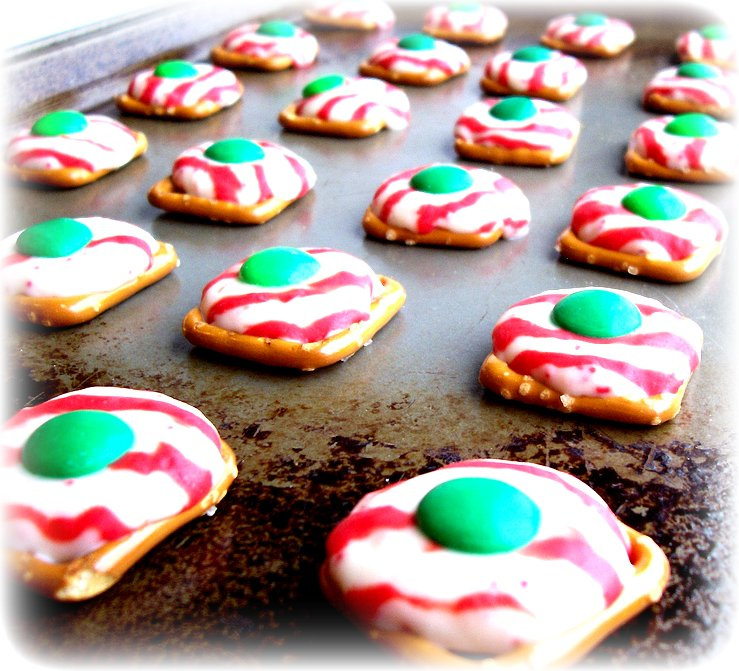 The best way is to place them in the fridge or freezer (still on the baking sheet) until they are firm. That's all there is to it! Like I said, uber-addictive so pace yourself. Better yet, hurry and wrap them as gifts so you don't over-do it. 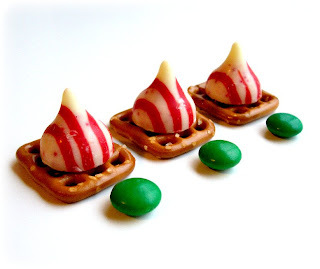 I am going to have to try those this year...what a fun thing to do with my boys!! Thanks for sharing!! I found this on Pinterest and so glad I did. I made them with my daughter and your right they do make a lot. I wrapped them up and took them to work. They were gone in minutes. Thanks for the recipe!